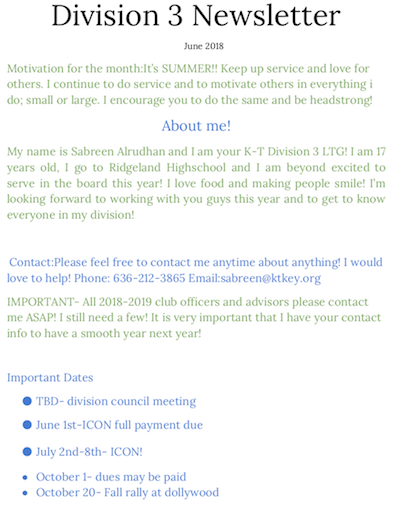 Division 3 June 2018 Newsletter! Hey everyone! Summer is here and school is out! That doesn’t mean service takes a summer break! In this newsletter you will find new upcoming dates to look out for as well as ICON information! I hope to see some of you next month at ICON!